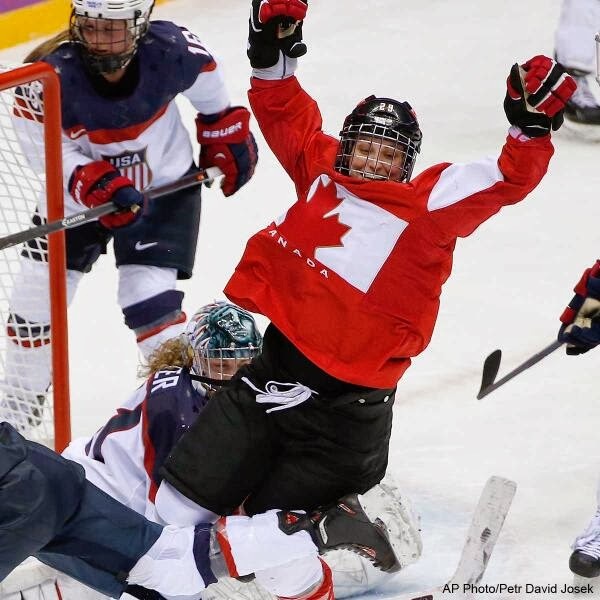 For Canadian hockey fans, it was déjà vu as the hero of Vancouver in 2010, BU’s Marie-Philip Poulin, supplied the winning goal again in 2014’s Sochi Olympics, propelling Canada to a 3-2 overtime win against Team USA in the gold-medal game. 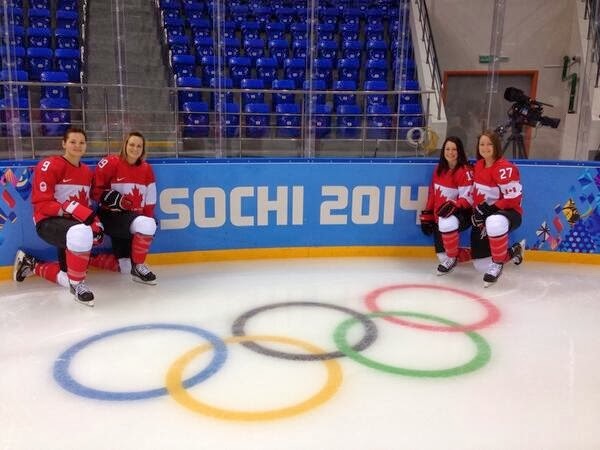 Poulin, who took a year off from BU to rejoin the Canadian Olympic team, and three recent ex-Terriers, Jenn Wakefield, Catherine Ward and Tara Watchorn, all became Olympic champions in a game for the ages. And for BU hockey fans, Canada's rally in the waning minutes brought back vivid memories of BU’s “unbelievable” comeback win in the 2009 NCAA championship game. Similarly, Canada also trailed by two goals but the defending champions cut the lead to one with three-and-a-half minutes remaining. Then, with the goalie pulled, Poulin, who was responsible for the only two goals in the 2010 final, tallied on a wrist shot from the edge of the crease with less 55 seconds left in regulation. In overtime, after a penalty on Ward gave Team USA a power play, two penalties by the Americans gave Canada a two-man advantage. Quick puck movement by Canada put the puck on Poulin’s stick as she closed to the bottom of the right circle and made no mistake, whipping a shot past the U.S. goalie for the overtime winner. Said Canada goalie Shannon Szabados: "The kid is unbelievable. She's a clutch player. Nothing else to say about her. She's a rock." The Toronto Star is asking its readers to vote on where Poulin’s latest golden goal stands among Canada’s greatest hockey goals. Poulin, who set a Terrier record for assists during the 2012-13 season, will return to BU for her senior season and she’ll have an opportunity to do something only two BU hockey players have done before—win an NCAA championship AFTER being an Olympic team member. These two previous Olympians played for BU’s men’s team at BU. If you know who they were, put it in the comments below. ► Kevin Shattenkirk continues in the quest to become the fifth Terrier to win gold at the Sochi Olympics as Team USA takes on Canada in the medal round semifinal on Friday. Puck drop set for Noon Eastern Time in a rematch of the 2010 gold-medal game. It airs live on NBC Sports Network. BU has added a second recruit to its 2016 class, securing a commitment from highly regarded Westminster School forward Johnny McDermott, according to U.S. Hockey Report. A 6-2, 178 lb., left-shot center, McDermott has a 5-11-16 scoring line in 24 games for the Westies. McDermott has size, is an excellent skater, is a pure athlete, and makes plays. At 6'2', 178 lbs., he will fill out more before the fall of '16 and will keep getting better. A good playmaker to go along with his skating, he is a power forward with finesse and has a lot of upside. More than willing to set up his teammates for scoring chances, he uses his size and reach to disrupt defensemen on the forecheck and create scoring chances at the other end. A number of scouts and coaches see the athletic, strong skating sophomore as a big time player in the making. 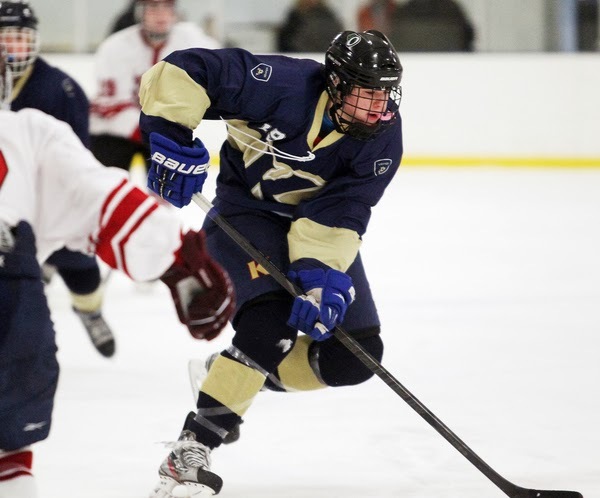 Tough to contain as one of the younger players in prep school, McDermott’s skating ability and knack at keeping the puck on his stick make him a possession-driving forward who could be looked at to produce offensively at the D1 level as well. Last season, McDermott, a Darien, Conn., native, skated for the EJEPL Connecticut Oilers U16s, racking up 31 goals and 36 assists in 50 games. USHR noted that BC, Providence, Union and UConn also were contenders for McDermott, who joins Shattuck St. Mary's forward Clayton Keller in the 2016 recruit class..